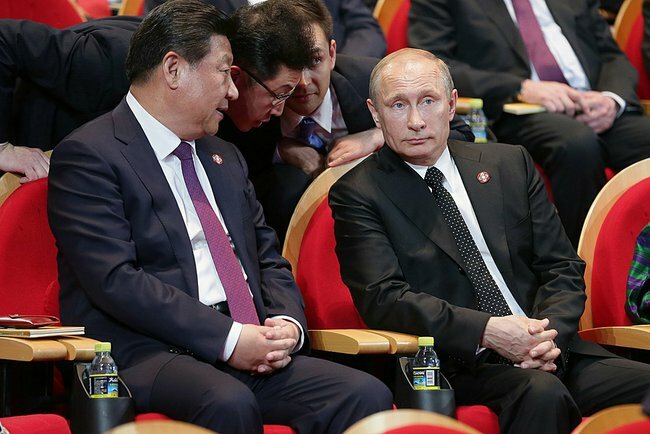 Russian President Vladimir Putin will meet top security officials from the five BRICS countries on Tuesday in Moscow. Ahead of the 7th BRICS Summit in the Russian city of Ufa, Putin will discuss security cooperation with the national security advisors of China, India, South Africa and Brazil. Russian National Security Adviser and Secretary of Russia’s Security Council Nikolai Patrushev is hosting the delegates from the five BRICS countries. The Chinese and Indian delegations are headed by State Councilor Yang Jiechi and Indian NSA Ajit Doval. Signaling that the BRICS are no longer a purely economic bloc, given the kind of similar interests that the five nations have as emerging economies, national security issues are also on the agenda of BRICS talks. The security officials will discuss important regional and global developments during the Moscow meet, which includes the threat emanating from the rise of ISIL and Boko Haram in West Asia and North Africa. The five NSA’s in their meet with the Russian President will also discuss cooperation and coordination in issues like cyber security, terrorism, piracy and other threats to international security. Russia hosted a formal meeting of BRIC National Security Advisers (NSAs) in May 2009 to discuss the security implications of the global financial and economic crisis. The second meeting of BRIC NSAs was held in Brasilia in April 2010 followed by a third in Sochi, Russia in October 2010. Meanwhile, on Monday, Russian and Chinese NSAs Nikolai Patrushev and Yang Jiechi held a meeting on Monday, during which they spoke out against unilateral sanctions and attempts to interfere in countries’ internal affairs, the Security Council said. “Interference in the internal affairs of countries and the imposition of own will is unacceptable. We express our opposition to attempts to shift power from the outside and the imposition of unilateral sanctions on the basis of national legislation of individual countries,” the Russian Security Council said in a statement. Patrushev also said that Russia and China, as the countries that suffered the biggest losses during the WWII, should stand up against any attempts to revive fascism or falsify the outcomes of the war. “It is important that all the states give up on the outdated ‘Cold War’ way of thinking and form a new vision of long-term and indivisible security for all, based on cooperation,” the statement said. BRICS now boast about 43 per cent of the world’s population and more than a quarter of its land. Since 2010, more than 50 per cent of global growth has come from the BRICS, and it has become an important force in easing the international financial and economic crisis, driving regional and global economic growth. Go BRICs! Let us not forget that the most important thing you can do is keep your food and water pure. That is essential for life, something America totally disregards. Very soon its people are going to suffer because the gov has allowed nitwit farming and waste. They are in the habit of polluting the earth and waterways, then moving on, perhaps to Russia. WE INDIANS SUPPORT PUTIN AND THE CHINESE HEAD AND BRICS IN THEIR CHARGE FOR FREEDOM FROM ZIONIST SCUMBAGS. OUR HEAD OF THE COUNTRY MR. MODI HAS NOT YET WARMED HIMSELF UP TO WORLD INTRIGUE. HE IS BUSY PLEASING ZIONIST MASTERS. HOPE HE LEARNS FROM HIS MISTAKES. INDIA LOVES THE WHITE RUSSIAN TIGER.